Jim FitzGerald, Chief Executive Officer, joined Intermountain in 1978, working as a cottage counselor in the residential services program. Prior to becoming Chief Executive Officer in 2001, Jim was Director of Operations, working in all facets of program development, training, policy, and finance. Throughout his career, Jim has focused the agency upon strengthening families and improving society’s ability to provide prevention, protection, treatment, and permanency for all vulnerable youth. A dedicated leader in youth advocacy, he has played a vital role in the state and national forum of child welfare, mental health, and public policy. Working with a dynamic Board and staff, he is responsible for guiding the vision and mission of Intermountain, and transforming Intermountain into a nationally recognized children’s mental health agency. Jim is also the CEO of ChildWise Institute, a Montana not-for-profit 501c (3) organization established by Intermountain. The mission of ChildWise is to elevate the well-being of vulnerable children through advancing awareness, accelerating knowledge, and advocating for positive societal change. ChildWise has garnered attention across the State of Montana and at the national level. Jim holds a Bachelor’s Degree in Psychology from the University of California, a Master’s Degree in Public Administration, and a Master’s Degree in Social Work from the University of Montana. Intermountain employee since 1978. Adam Jespersen, a Montana native, has been with Intermountain since 2009. Adam provides leadership and management of all Intermountain services and has specific expertise in Lean management, process improvement, grant writing and grant administration. Adam has been the Chief Operating Officer since 2017. Intermountain employee since 2009. Dee Incoronato has served Intermountain in various capacities. She served as a member of the Board of Directors for more than ten years, including a two-year term as Board President. Now as Chief Strategy Officer, she is skilled in coaching, assessing, supporting, training, and facilitating organizational change, strategic intent, and continuous learning. Dee has owned and managed two businesses in Bigfork, Montana. She has served as Academic Director in two international schools; one in Japan, and one in Taiwan. She was also Director of International Programs and Associate Professor at Carroll College, Adjunct Faculty at Flathead Valley Community College, and a Higher Education Consultant. She was a Bigfork Montana School Board Trustee for two terms. Intermountain employee since 2013. Elizabeth Saylor came to Intermountain in 2015, as Controller. Elizabeth has many years of experience in the nonprofit (healthcare) sector as well as public accounting. Elizabeth oversees all financial activities. Intermountain employee since 2015. Kathy Ramirez came to Intermountain in November 2018 after serving 10 years as the Director of Alumni at Carroll College. Her 25 years of development experience also include working as the Director of United Way, Membership Director for the Helena Area Chamber of Commerce and serving as a board member for the Helena Area Community Foundation, the St. Helena Cathedral Finance Council and Kiwanis. Kathy’s business background includes 22 years of operating a bed & breakfast, serving on the Council for Community Service and the Workforce Development Task Force. Kathy is responsible for all development activities. Intermountain employee since 2018. Lora Cowee has worked in a variety of roles ranging from a direct care counselor to residential manager. Lora has provided consultations to Montana Psychological Association and has provided trainings to a variety of audiences ranging from families (foster, adoptive, birth) to providers, agencies and other organizations in Montana. Lora supervises Providence Home, Child and Family Psychological Center, and the Family Learning Center in the Flathead area. Intermountain employee since 1992. Daniel Champer, is a Licensed Clinical Professional Counselor who currently serves as the director of school-based services for Intermountain in Helena. Daniel provides clinical leadership and oversight to teams of mental health professionals who provide therapeutic services in public school settings in the Helena area. His passion is restoring life and beauty in all that has been discarded and marked as waste. Intermountain employee since 2012. Kimberly Gardner, LCSW, LAC, has been active in advocacy and services for children and families for the last 25 years. She has extensive experience in program administration and development, clinical supervision, the legislative process, and residential and community-based mental health and substance use treatment services. She has provided respite foster care for several years. Kimberly serves on the Board of Behavioral Health for the State of MT. She also provides clinical supervision for MSW and graduate-level interns and Licensure Candidates for Intermountain. Intermountain employee since August 2007. Through her work as an opera singer, Janna was ushered her into the creative world of marketing, communications, graphic design, writing, and web development that she has now worked in for nearly 18 years. During this time she has provided complete creative and branding services for an eclectic list of medical clientele across the United States including internal medicine specialists, oncologists, dentists, orthodontists, occupational therapists, and psychologists. Additionally, Janna has worked closely with local artists, musicians, entrepreneurs, and other nonprofits to successfully create and restructure their branding, web presence, and media organization. In 2017 Janna returned to the state that she loves and is excited to join Intermountain. Intermountain employee since 2019. Chris Haughee has 20+ years of experience in children’s and youth ministry. Chris oversees the spiritual development and cultural nurture of the children in the residential program. Chris also serves as a liaison with Intermountain’s supporting churches and faith communities. He is the author of "Bruised Reeds & Smoldering Wicks", an adult Sunday School Curriculum focusing on trauma-informed ministry and compassionate care for children from hard places and situations. Intermountain employee since 2012. Sami Butler has over twenty years of nursing experience. In addition, her professional career includes extensive lobbying, fundraising, coordinating international healthcare teams, and serving as Executive Director of a nonprofit association. Intermountain employee since 2004. Marvin Williams, Director of Education Services, worked in Public Education for over 31 years, recently retiring from the Helena School District where he served as the Special Education Administrator for 18 years. He has worked in areas of leadership, training, program development and implementation and has played a key role in developing special education and mental health services for area children. Williams was selected to co-chair the Montana Council of Administrator for Special Education (MCASE) for a two year term that began in the fall of 2011. Intermountain employee since 2010. 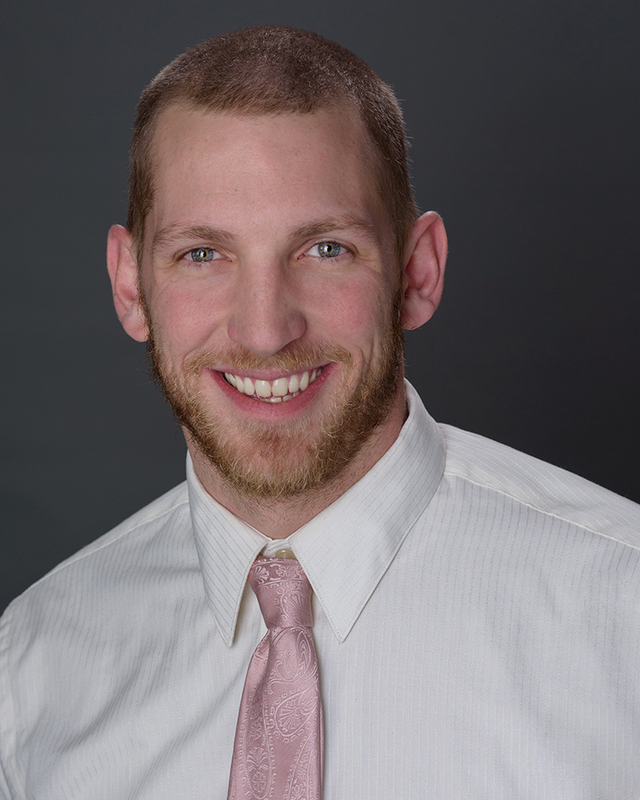 Dr. Eric Aune is a licensed psychologist specializing in pediatric and developmental neuropsychology. Dr. Aune has extensive training in the neuropsychological evaluation and intervention of neurodevelopmental conditions, including learning disabilities, attention deficit hyperactivity disorder, autism, anxiety, depression, obsessive compulsive disorder, Tourette's/tic disorders, intellectual disabilities, giftedness, and childhood-onset psychotic disorders. In addition, he received intensive training in the evaluation and treatment of children with complex medical conditions (e.g., traumatic brain injury/concussion, epilepsy, congenital heart defects, cancer, cerebral palsy, cerebrovascular conditions, etc. ), many of which impact a child’s brain functioning. Intermountain employee since 2016. Steffani Turner manages the administrative and clinical aspects of the multi-service clinic which offers child and family outpatient therapy, psychiatric medication management, occupational therapy, and therapy for co-occurring substance abuse and mental health issues as well as case management, home support services, family aide services and therapeutic foster care and adoption services. Intermountain employee since 2006. Ralph Yaeger has lived in Helena since 1976 working in all areas of fund development. Ralph has most recently worked for the Montana Wildlife Association and the Montana Community Foundation. Intermountain employee since 2008.